Founded in 1533, Cartagena was once the primary Caribbean port for Spanish explorers and was a frequent target of pirates and other countries. With its year-round tropical climate, you can expect sunshine and warm water whenever you choose to visit. Learn about its colonial architecture and Afro-Colombian music, food and dance. Cartagena is the perfect destination for adventure, nightlife, and relaxation alike. You’ll see what all the fuss is about during your personalized stay. This trip is customizable. Find out what’s included and much more here. Find out more trip details here. Escape Colombia’s bigger cities and immerse yourself in the brightness and beauty of Colombia’s Caribbean Coast. Enjoy Cartagena’s heavenly sunsets and historic downtown before heading off for a jaunt to Islas Rosarios by boat for an unforgettable day of white sand beaches and turquoise waters, where there are many recreational options to choose from. 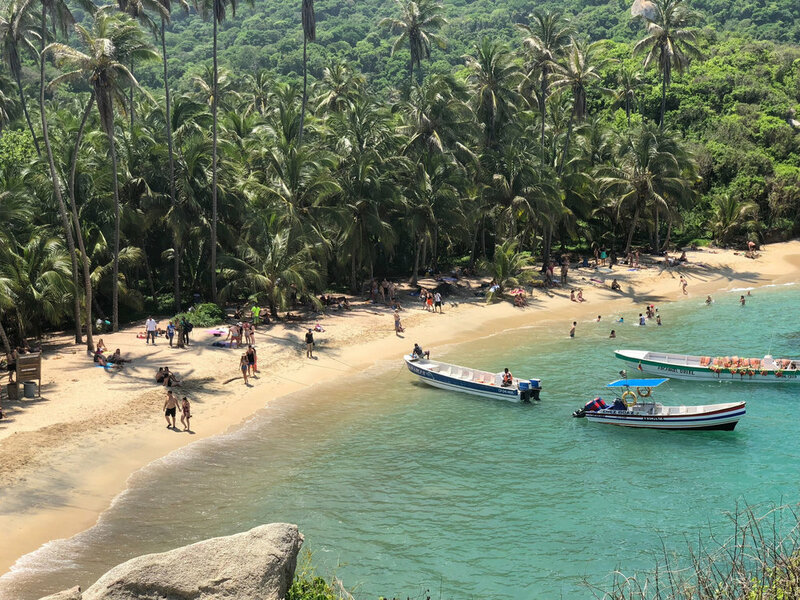 Travel by land to Santa Marta, gateway to Parque Tayrona, a vast national park where the Sierra Nevada mountain range meets the palm-covered coastline. From here, take an extra few days on your own to trek to the Lost City or take a day trip to nearby pre-Columbian sites. This trip is customizable. Let us know what you’re interested in altering and we’ll send you any price updates at no extra cost. Find out more about this trip here. From the City of Eternal Spring to the Crown Jewel of the Caribbean, experience the sophisticated energy of Medellin’s renaissance and the revitalizing sensuality of coastal Cartagena, two highly complementary Colombian destinations. This trip is customizable. Let us know what you need and we’ll send you any price updates to reflect your personal interests at no extra cost. This trip is customizable. 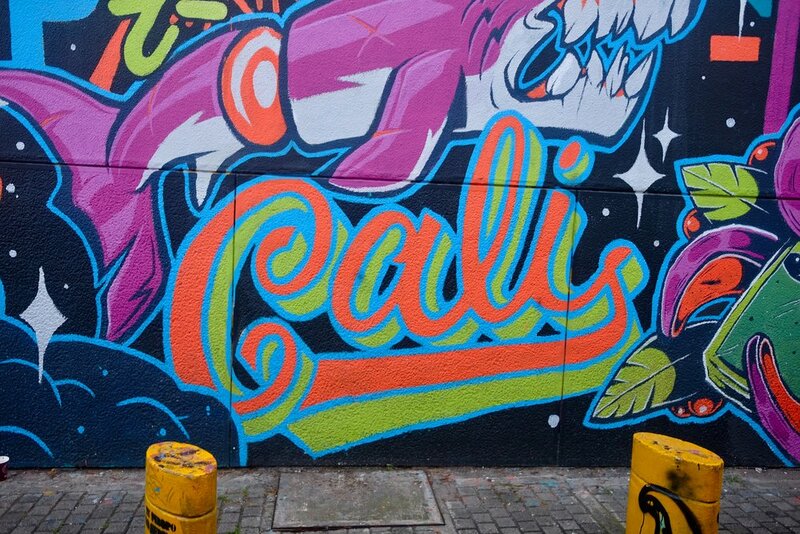 *Note: This trip can be modified to visit Medellin instead of coffee country. Enjoy the exhilarating variety of culture and vistas this customizable experience packs into 13 days that includes Bogota, coffee country (Salento), and the Caribbean Coast (Cartagena, Parque Tayrona) and leave this experience with more knowledge about regional dialects, accents, customs, and cultures than anyone you know. Explore Bogota, Colombia’s epic capital, via the Museum of Gold to understand the legacy of its rich natural resources (emeralds and gold) and the impact of colonial development. Following this, you’ll take an overnight to the famous Salt Cathedral of Zipaquirá for your first - but not last - taste of pueblo life. These thirteen days will allow you to embed into each of this regions in a satisfying, infinitely rewarding manner. Read more about the advantages of this trip below.